unlocking our natural warmth, intelligence, and goodness. To relate with others compassionately is a challenge. Really communicating from the heart and being there for someone else—our child, spouse, parent, client, patient, or the homeless woman on the street—means not shutting down on that persona, which means, first of all, not shutting down on ourselves. This means allowing ourselves to feel what we feel and not pushing it away. It means accepting every aspect of ourselves, even the parts we don’t like. To do this requires openness, which in Buddhism is sometimes called emptiness—not fixating or holding on to anything. A collection of short inspirational readings by "one of the world's wisest women"--O, the Oprah Magazine. 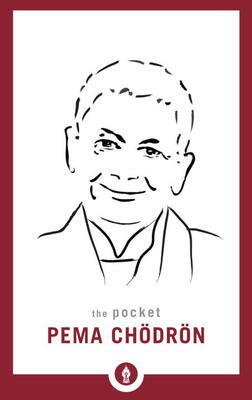 Here is a treasury of 108 short selections from the best-selling books of Pema Chodron, the beloved Buddhist nun. Designed for on-the-go inspiration, this collection offers teachings on becoming fearless; breaking free of destructive patterns; developing patience, kindness, and joy amid our everyday struggles; and unlocking our natural warmth, intelligence, and goodness.